September 9, 2017 –Major U.S. equity indexes posted weekly declines as Hurricane Irma barreled toward the east coast while interest rates hampered financial stocks. The Dow Jones industrial average fell 189.77 points for the week while the S&P 500 fell 0.61 percent over the same period. The Nasdaq composite dropped 1.17 percent since Tuesday. Markets were closed Monday for Labor Day. Bull market (dark green over red) the dark green 50 day average is in a flattening uptrend. Bull market -- expect bullish outcomes. Now about 55% of stocks are above their 50 day MA, near to last week when it was 58%. Nasdaq breadth is bouncing up!Expect a strong rebound in QQQ. Was aggressive, now rolling back toward defensive. Nasdaq hot, so are utilities... ???? If you have not done so please read my rant on why the markets are set for a sell off. After the crash of 2008 many talked of the end of the U.S. as the global power. I wrote Why I Believe in America to point out there were many reasons to keep the faith in the U.S. economy. If you have ever wondered how the U.S. can have the world's biggest economy without being particularly productive, over-paid and suffering from entitlement issues? Look no further than two points. First the U.S. dollar is the world's reserve currency. 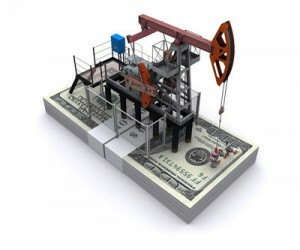 The second factor is the so called 'petro-dollar' where all oil is traded only in U.S. dollars. Two leaders in the past tried to change the petro-dollar system, Muammar Gaddafi (wanted gold standard) and Saddam Hussein (tried to sell oil in Euros). (read more in the Guardian). It is interesting to note that in both case there soon were U.S. bombs dropping on the renegades. In 2016 The Financial Times detailed how China was moving into the commodity exchange arena. The first move was a gold based exchange. 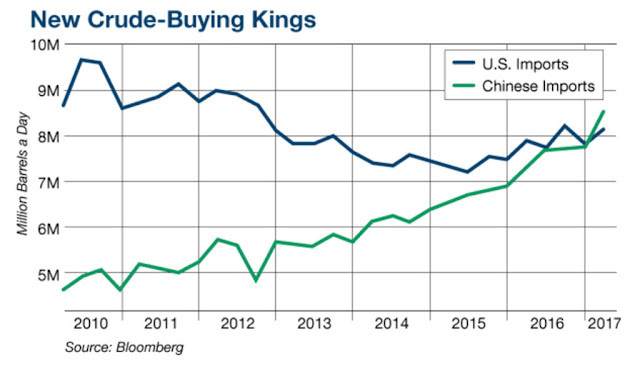 This was seen as thinly veiled experiment in a gold-backed-Yuan world currency. 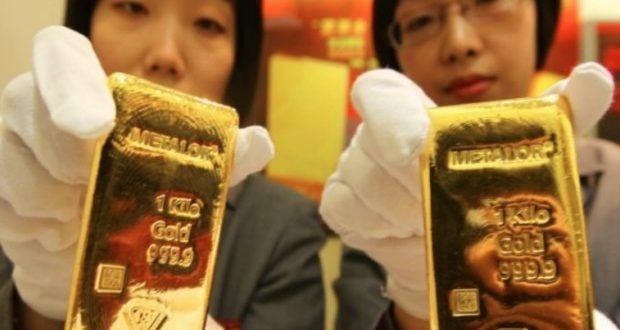 Now a blog site called OilPrice.com come news claims that China is on the edge of offering an commodity contract for oil ... backed by both Yuan and gold. For the 'bad boys' of the oil world, like Russia and Venezuela this would be a perfect way to sidestep the Petro-dollar. According to Bloomberg this year China surpassed the USA as number one oil importer in the world. 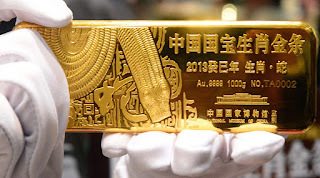 So oil traded in Gold/Yuan would be both a benefit to China and for exporters it represents a ready market literally changing oil in for gold. If this is true, then China will succeed where Gaddafi failed - Oil traded for gold. Of course the U.S. can't just bomb it's way out of this one. This could be the greatest threat to U.S. hegemony since the Bretton Woods accord was signed. 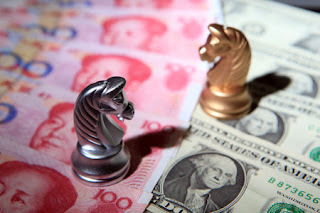 The U.S. government's failure to raise interest rates is causing massive currency outflows. The PowerShares U.S. Dollar Index ETF (UUP) falling below its 2016 bottom to the lowest level since the start of 2015. This is the 7th straight down day for the USD Index. Some of that has to do with the fact that bond yields in the states are falling faster than those in foreign markets today. Most of today's forex attention is coming from the euro which is rising to the highest level in two and half years. The ECB left rates and QE unchanged today. But the currency jumped after Mario Draghi explained in a press conference that any decisions on ECB tapering would most likely take place in October. The Canadian Dollar has jumped to the highest level in two years on yesterday's Bank of Canada rate hike. The U.S. dollar is also falling against a basket of emerging market currencies. 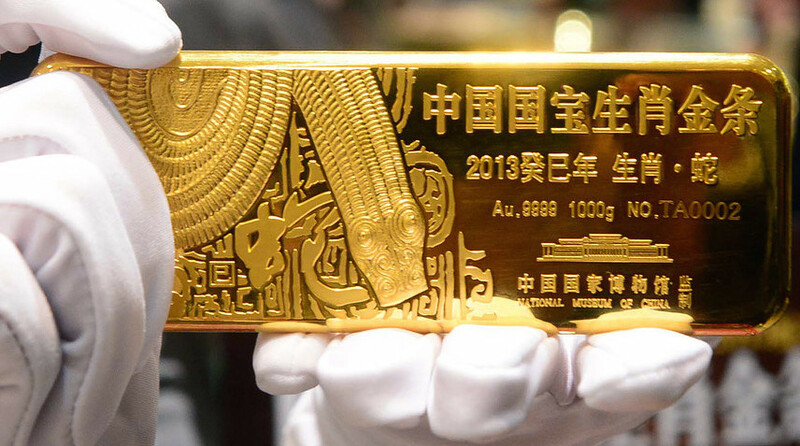 The market getting the biggest boost from that is gold, which is actually stronger today than all of the foreign currencies. According to a new documentary, at the Toronto Film fare, over $50 billion was stolen from US investors by sham Chinese companies listing on US exchanges. Chinese reverse-mergers on U.S. exchange was common between 2000 and 2011, about 450 Chinese companies listed on U.S. stock exchanges, according to research from the Singapore Management University. By purchasing shell companies and keeping the listing, they could bypass the rigors of an initial public offering. I recall one of these firms being touted in Canada Sino-Forest that made many false claims about vast tracks of Asian forest land they had the rights harvest. It was at one point the most valuable forestry company listed on the Toronto Stock Exchange. The investigation into Sino-Forest was triggered in 2011 when short seller Carson Block of Muddy Waters Research published a scathing report accusing the company of exaggerating its assets and fabricating sales transactions in what amounted to "a multibillion-dollar Ponzi scheme." At the time it sound too good to be true... and it was. Under the rules of "if the name sounds like trouble, one day it will be" there is a disaster in the making. Like investing with a guy named "Made-off". The next new name in the lexicon of American disasters might be Turkey Point. 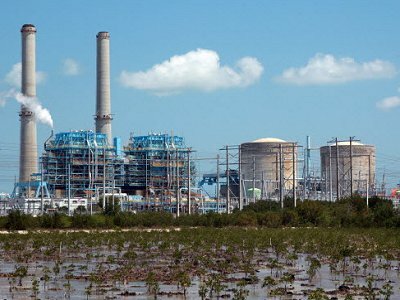 The dilapidated Turkey Point Power Plant, on the southern tip of Florida is Florida's oldest nuclear power plant. Despite huge protest, in the 1970's, when the site was planed and built, it still went ahead. Now this weekend these two reactors are right in the sights of hurricane Irma. Officials plan to shut the reactors down, but have no idea what to do with the cooling ponds full of nuclear waste that can go critical if uncovered. 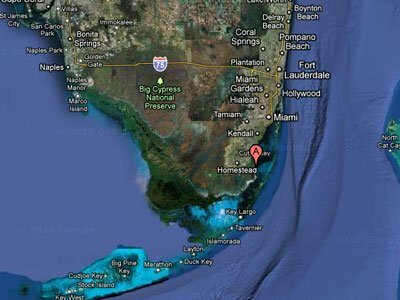 The last major hurricane to hit Miami was in 1926 and 400 people were killed. Back then, the city boasted 100,000 residents, but today the population is more like 6 million. The only question is will they be drowned in water or fried in a China Syndrome meltdown. I have been touting gold for a couple of months now... so far that is an 8% gain in 60 days. You can thank me next time you see me. (Ticker:GLD). But my guess is the trade is getting stale. I think we are in a cyclical bull market (since February 2016) within a near record long, secular bull market (since early-2009), and the cyclical bull looks tired, but is still with us. We just had about a 2% pull back and since it is a bull market we well might continue up from here. So yes the party is still on. That said, there are some funny clues. Gold is doing better than even I expected. This is a good time to keep an eye on chart 207 VIX, now heading up. Also the TRIX on chart 213 still is diverging down. Perhaps it is nothing but there are insider defensive signals everywhere, it keeps me wondering.If the market is strong next week I will take some profits in gold. I continue to expect a lack-luster market with small run ups until the period 2 to 7 weeks from now -- when my GUESS is we might have a stronger pull-back. It is still a bull market and I am long defensives. These are large firms in the utility, food and consumer staples business. Some good defensive ETFs include DEF, DVY and IVE. I sold a small bit to my gold position this week. You might prefer to mix in some bond ETFs like TLT or AGG. Don't go all in on gold/bonds but you could put 10% to 33% of your money here and sleep a bit better.